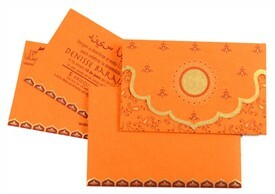 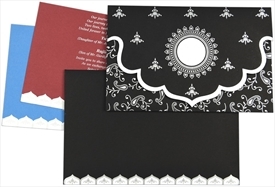 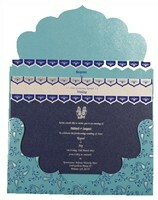 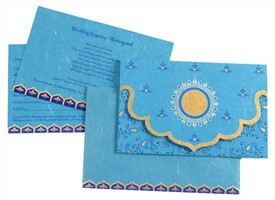 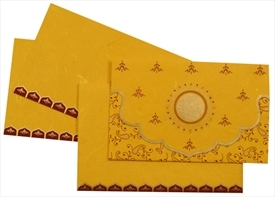 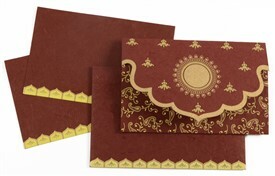 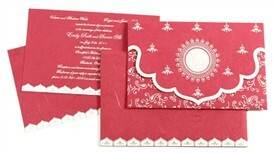 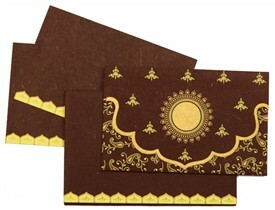 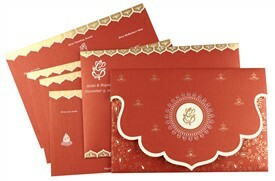 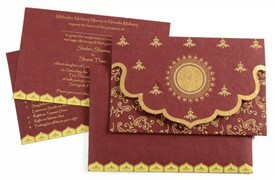 D-5391, Blue Color, Shimmery Finish Paper, Hindu Cards, Designer Multifaith Invitations. 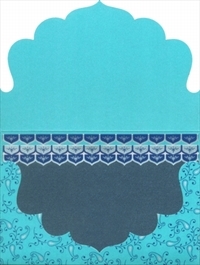 The front of this card has the upper fold in a traditional arch shape with a base design of decorative motifs in blue and silver and a circular window studded with rhinestones in the center with border design for the symbol of your choice. 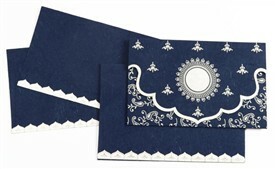 The lower fold is an arch shaped pocket. 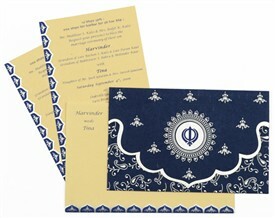 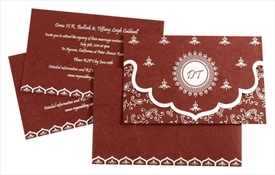 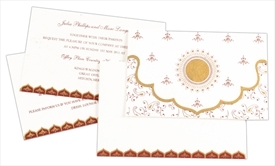 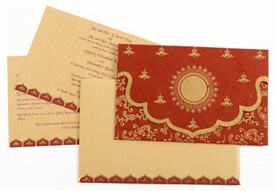 The inserts and envelope have border design in blue and silver combination. 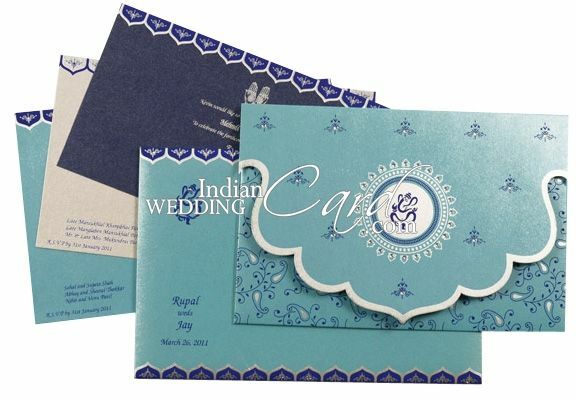 Turquoise color Shimmery card stock (250gsm) for folding style card & envelope. 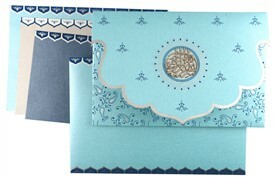 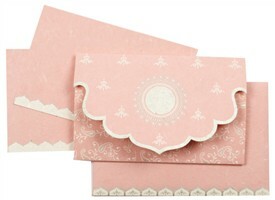 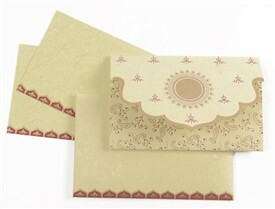 3 inserts in diminishing size, one each in turquoise, blue and white shimmery paper. 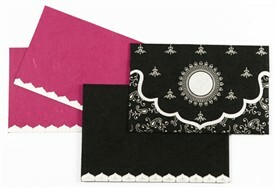 Silk Screen Printing in color matching to inserts.